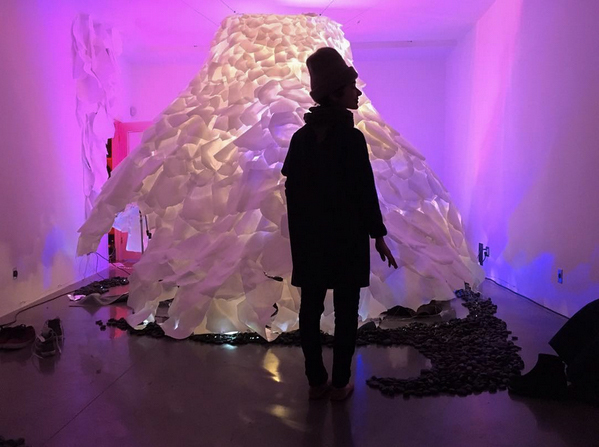 The Soundscaped Cocoon was a collaborative project consisting of an installation piece and accompanying programming exploring the interaction between sound and consciousness. 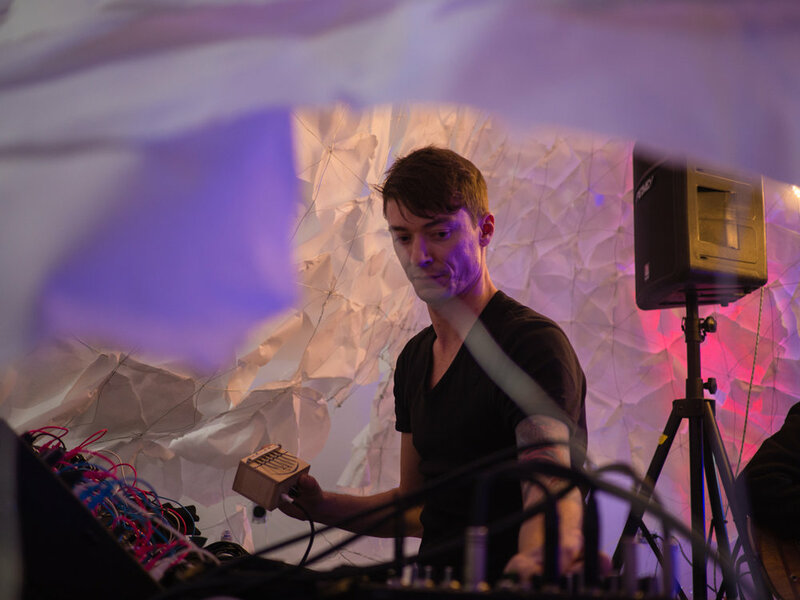 In addition to being the technical lead for the installation, I was also involved in planning and coordinating the accompanying programming, which centered around immersive and interactive experiences that offered small invitations for participants to explore the interplay between sound and consciousness. 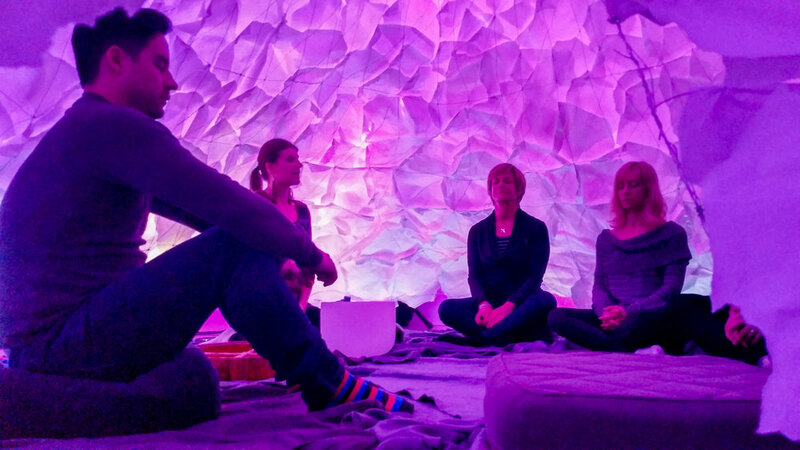 There are plans for future iterations of the installation with the added element of using EEG brain wave readers to gather data for quantitative analysis of the effects of sound on the mind. 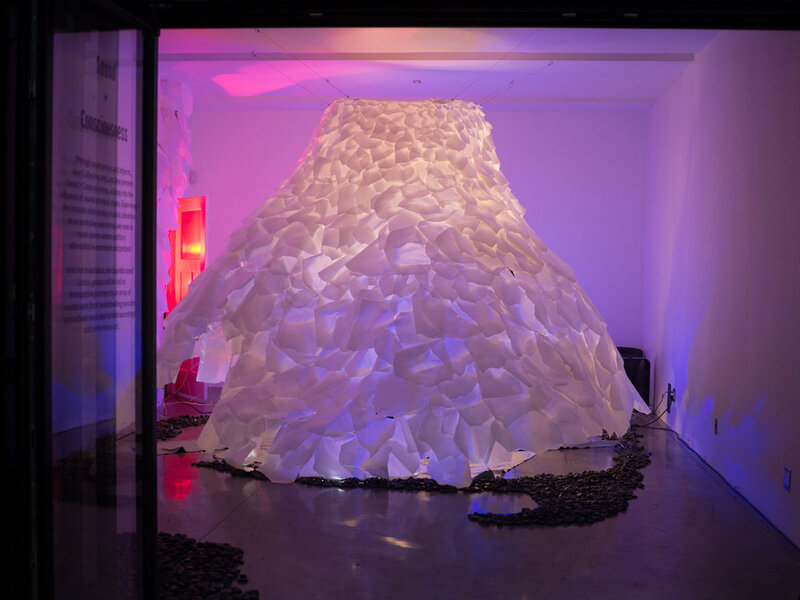 The cocoon itself was designed as a woven wire frame suspended from the ceiling and covered in shoji paper. 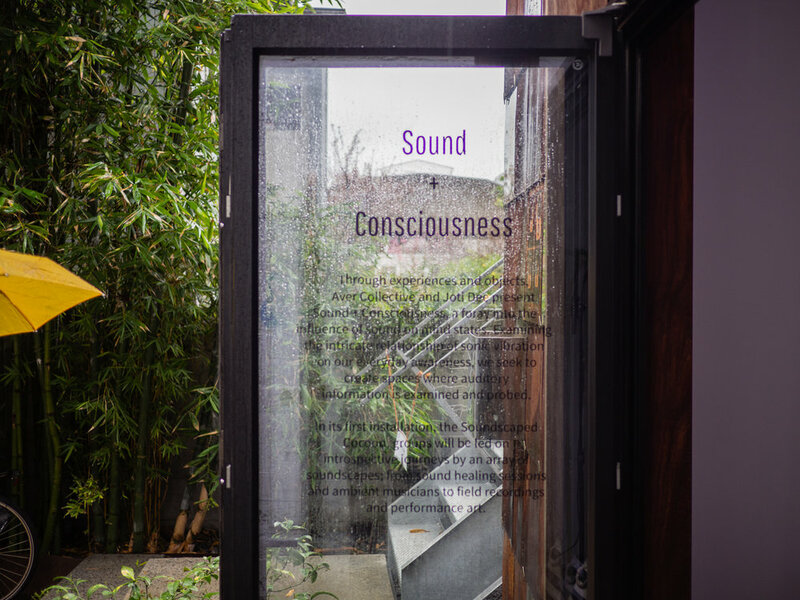 The organic feel of the outside of the space was deliberately contrasted with the exposed frame on the inside, giving a sense of both fluidity and structure, mimicking the underlying wave nature of both sound and the brain. Shown here are some early sketches and prototypes. The cocoon installation took place over about two weeks. First I rolled and welded the top ring together which was then hung from the ceiling. We then began the process of weaving the wire frame and then attaching the shoji paper. The frame had to be woven carefully, making sure the pattern was correct in order for the frame to support its shape. 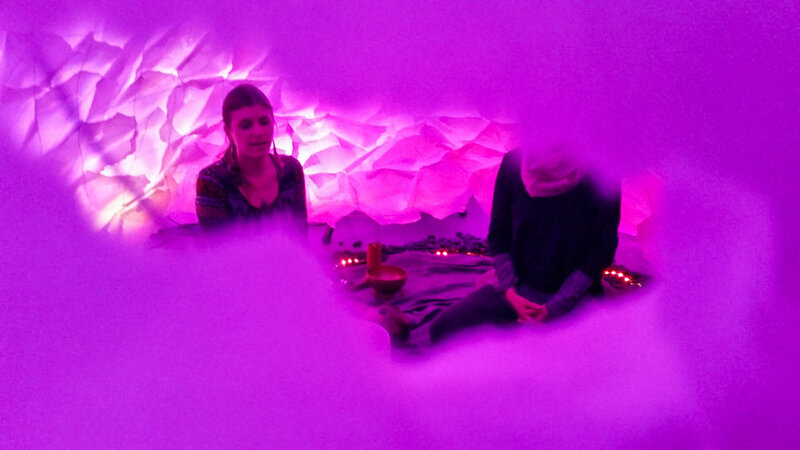 Programming consisted of ambient music performances, events probing the imaginative generation of sound through composition, sound healing/therapy demonstrations, and guided meditations. Video of the installation and programming filmed and produced by Nelson Navarrete of VITAMIN Productions. Live recordings from the ambient music sessions. Recorded by Ash Clayton. My friends and collaborators Laura Cohen and Joty Daliwahl. StoreFrontLab for hosting our exhibition - Yosh Asato, David Barker, Ari Gelardin, and Jacob Palmer. Those that performed and/or were a part of the programming including Anneli Virkhaus and Mari Sierra.